Picture your house here! 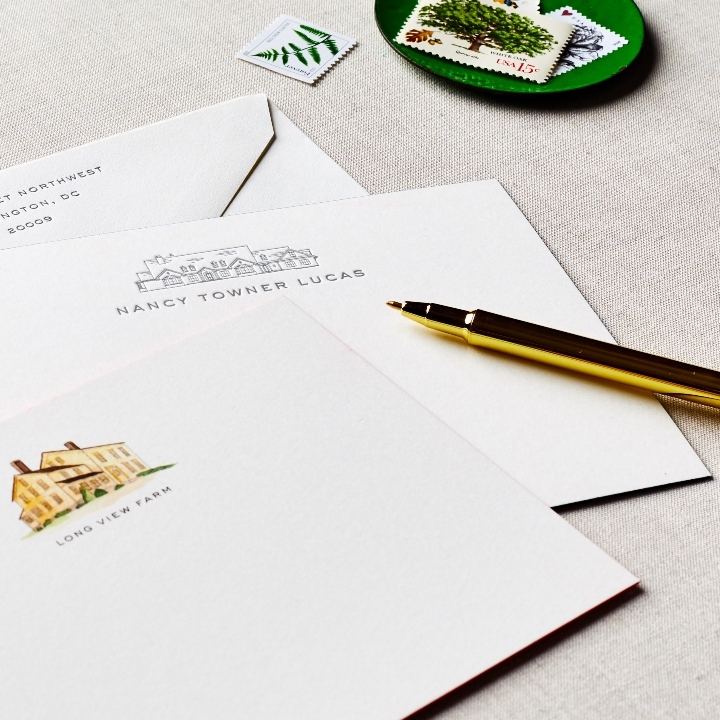 A custom illustration of your home makes this family stationery an absolute knockout for memorable correspondence. Select from three different art styles for your custom illustration: hand-painted watercolor, a black & white line illustration or a vector illustration built as an icon on a computer. All illustrations are completed by the Cheree Berry Paper design team! Painted edge available with letterpress option only. The letterpress option means that your name and house will look and feel slightly raised on the card. 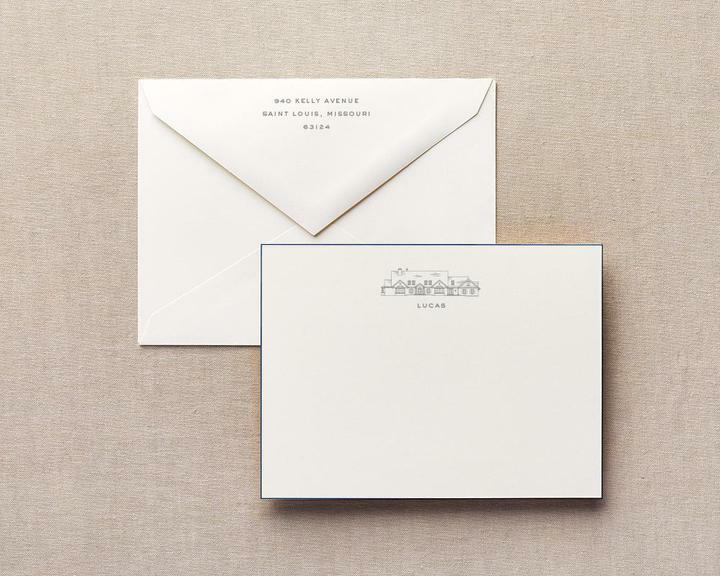 *Note, choose a mix of Flat and Letterpress printing. With this option, your name will feel slightly raised on the card, but the image will be flat-printed.